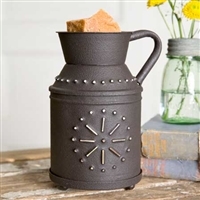 Our Mason Jar Wax Warmers are a must have for any home! 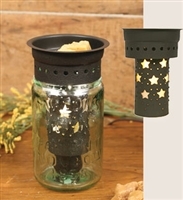 They are electric and come with an insert, mason jar lamp, and bulb. Instead of burning a candle, the light bulb melts the wax and fills your home with wonderful scents. The punched design will cast patterns of light all around the room, through the glass. Tarts are sold separately.